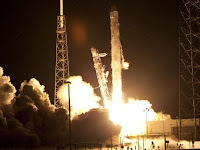 Space X has successfully launched their Falcon 9 rocket and docked their Dragon cargo capsule at the International Space Station (ISS); a historic first for private space ventures, and a vital step towards launching cargo and crew without reliance on Russia. 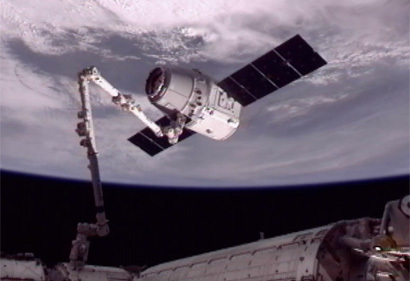 This successful launch and docking at ISS validates Falcon/Dragon as a capable system, and if all proceeds as planned, the first regular cargo delivery will occur later this year. 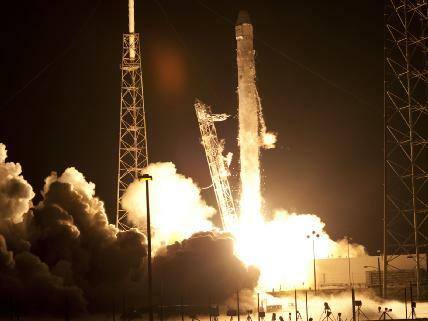 Last year, Coalition Director Art Harman asked Space X CEO Elon Musk to advance his development to launch astronauts within two years, in order to reduce risks from complete reliance on Russian rockets. Mr. Musk responded to the challenge with "two to three years." Mr. Musk further stated that the launch abort system was the final major system under development to allow for manned launches; and there were subsequent successful tests of that system. If Mr. Musk can indeed meet that target, America's future in space--and our $100 billion investment in ISS will be more secure, as a Russian launch failure would no longer endanger the ability to keep astronauts onboard ISS. 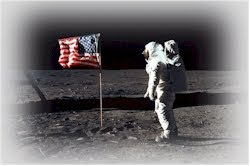 As a candidate, Newt Gingrich outlined a true space policy which would keep America as the leader in space. Upon leaving the campaign, Gingrich promised to continue to promote a true space vision. Perhaps he will help the remaining candidates to understand the need to not surrender space to China. As President Kennedy so ably demonstrated (and as seen with other presidents who lead on other issues), a president is the one person most able to rally the nation and Congress to support space, and perhaps Gingrich can make a difference in making the case for a bold space program to the other candidates. Astrophysicist Neil deGrasse Tyson is also promoting a bold space program and specifically calling for increasing the NASA budget to 1% of the Federal budget--"one cent for space." Together, these two individuals are making an impact; are inspiring others, and everyone is urged to support and promote their goals. Key excerpts from Gingrich's speech: "I am cheerfully going to take back up the issue of space." "The fact is, if we’re going to be the leading country in the world, we have to be the leading country in space." "This is not a trivial area. This is a fundamental question of whether we are still a country that dreams and goes out to pursue great adventure, and has the courage to say to young people; yes you ought to go into math and science, because there is a wonderful future doing really important things." "I happen to think that's a better future than methamphetamine and cocaine; and I’m going to argue for a romantic American future of doing things that matter; that get to the human spirit." "I think, in the Reagan tradition, there’s a shining future ahead."